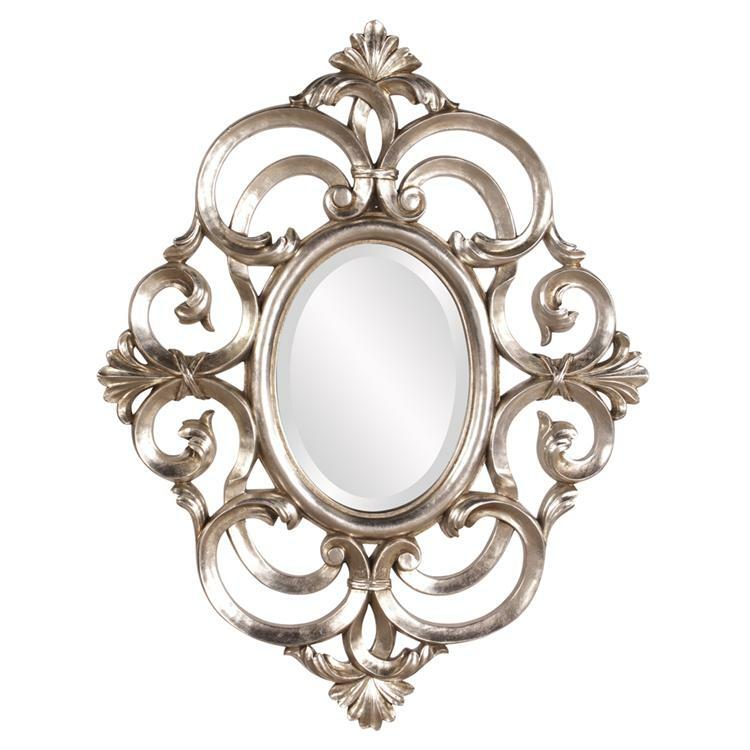 The Alameda Mirror is a lovely piece with elaborate styling. The oval glass mirror is surrounded by a very ornate, open work frame. The frame is then finished in a lovely champagne silver leaf. It is a perfect focal point for any design. Hang in either a vertical or horizontal orientation! The mirrored glass on this piece has a bevel adding to its beauty and style. Customizable for larger orders.